The big Microsoft event – Microsoft Connect(); 2018 – launched today with a ton of speakers and exciting announcements. Well … to be fair, the announcements are exciting for us at IowaComputerGurus because we’re developers and software engineers that live and breathe this stuff. The new features and innovations announced so far have been many, including updates to Azure (super cool) and GitHub integrations. There have also been a lot of releases related to new opensource support, advanced features that only a serious tech-wonk could love, and new ways to collaborate and manage our projects. All of that is great, but let’s focus on the new innovations arriving on THE development platform of day – .NET Core. We watched the live-stream keynotes and read the live blogs … holy beans, there’s a TON of info coming out fast-and-furious about our favorite development framework. What follows is what jumped out to us right away – no doubt there is a lot we missed and more info coming. But here goes. We were expecting a production update release for .NET Core 2.2, and that’s exactly what we got in addition to updates to ASP.NET Core 2.2 and Entity Framework Core 2.2. I do not want to make it seem that this update is not important, because it is. The new update to .NET Core 2.2 includes Tiered Compilation, Runtime Events, Support for AccessToken in SqlConnection, Injecting code prior to Main, Windows ARM32, and other things. If you want to read the details on the .Net Core 2.2 release, you can grab the info here. 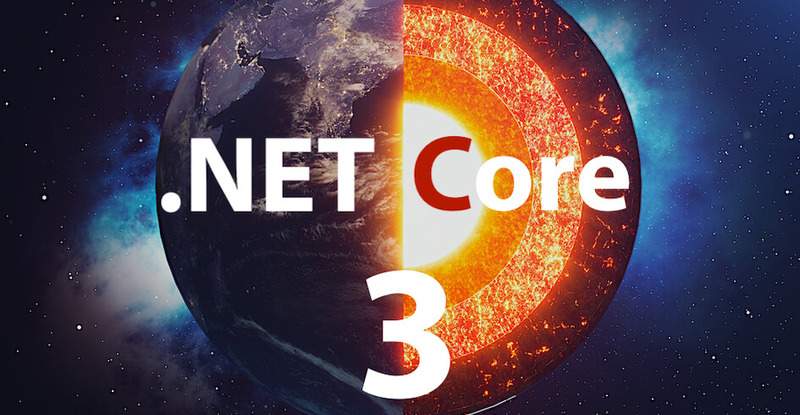 But here’s the thing … most of us here have been waiting eagerly for more news about .NET Core 3. We’re like Black Friday shoppers waiting outside BestBuy at dawn – we just KNOW we’re going to get something good. And so we did. Microsoft has a real winner with this platform and their continued investment proves it. Most importantly for the development community is that desktop apps can now be built using Core. Most of our work at IowaComputerGurus is on websites, web apps, and server-side apps … but we definitely get it. If you are building desktop applications for Windows machines you’ve got to be excited by the potential for performance and portability. In keeping with Microsoft’s huge push into open source, now that .NET Core 3 supports Windows Desktop development, they have open-sourced three major Windows UX technologies for the first time ever to go along with it – WPF, Windows Forms, and WinUI. The broader community can now not only have free and open access to these valuable tools, but they are available on GitHub now for community contribution. Not only is this good for the developer community, but it is also good for Microsoft. Their decision to opensource .NET Core has been a big factor in the incredibly rapid innovation and deployment of the platform. Opensourcing these vital desktop technologies will likely bring faster improvement and innovation here too. Some insiders have had advanced access to make some initial recommendations, so there is evidence that we’ll see a lot more coming soon. Previously, only self-contained applications had native executables. If you were writing code in a “global” installed version of .NET Core you had to create an executable. Now they exist in globally installed versions by default. Huge time saver. Remember way back in the day when you plugged your printer into a serial port? No? Well, I do. But if you’ve come to the world of tech in the last decade it’s possible that you’ve never used a serial port at all. All modern computers use other device connection methods. But the humble serial port has been given new life by the most modern of technology trends – The Internet of Things (IoT). IoT developers use serial ports to connect Arduino and Raspberry Pi micro pcs and controllers. Up until now, .NET Core only supported serial ports for Windows. But in .NET Core 3 they’ve added support for Linux serial ports. And since a lot of IoT developers live in Linux-land, this should spur adoption and make the people of the Linux boxes happy and joyous. As an added bonus, Microsoft has let us know that – even though it is not live in the Preview Release – they have a coming feature to allow developers to flash an Arduino device from a Raspberry Pi device using .NET Core 3 APIs. IoT developers get even more toys in .NET Core 3. In addition to the afore-mentioned serial ports, IoT devices also expose pin-connections for sensors, displays, and other kinds of fiddly things that go whir in the night. Arriving now with this preview release is API support for major pin types – GPIO, PWM, SPI, and i2C. And there is another gift for IoT folks in this Holiday Release package – .NET Core 3 adds support for ARM64 on Linux in addition to ARM32 for Linux and Windows. And you can bet more is coming. 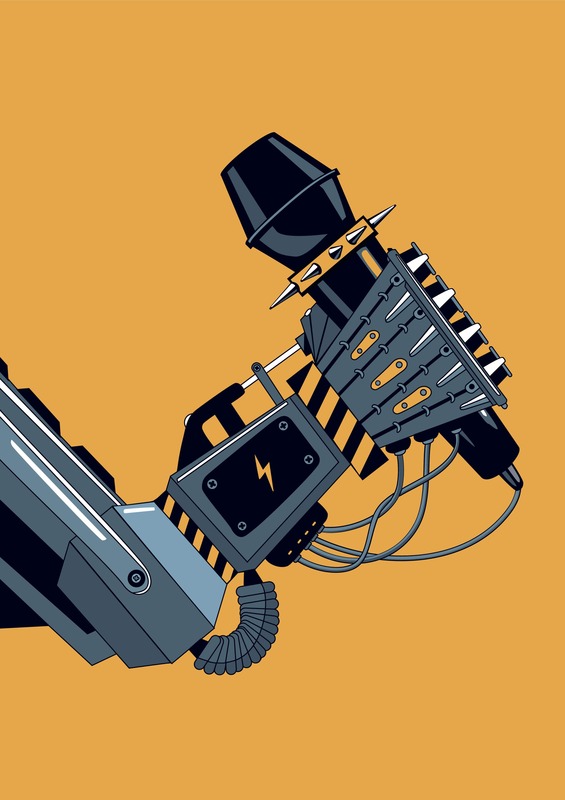 Picture a robotic hand controlled over the internet remotely dropping a mic. For us, security is always job #1. So, we take notice of every update on this vital topic. .NET Core 3 is adding support for TLS 1.3 and OpenSSL 1.1.1 for Linux applications. This will improve connection speed by reducing the number of round-trip connections and it will make the application more secure by removing archaic encryption types. We will follow all of these developments and more and keep you updated. But the energy and excitement around the .NET Core development framework continue to grow and Microsoft is showing no indication that they are going to take their foot off of the innovation gas pedal. And we’re glad that we are on-board for the ride.